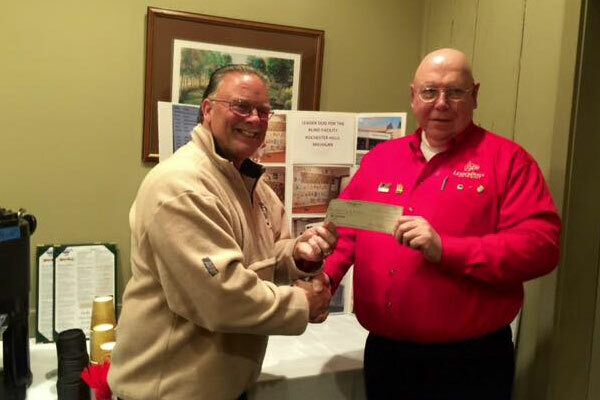 Pocono Lions President Sean Naughton, with long time member, and Secretary – George Barthelenghi. 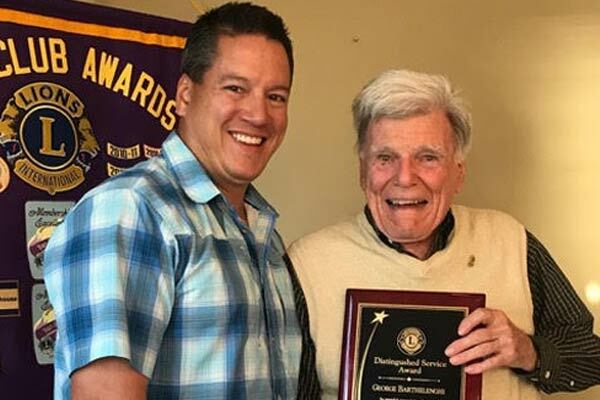 George was presented with the Distinguished Service Award for his long history of Dedication & Commitment to the Pocono Lions and to the community he loves to help. 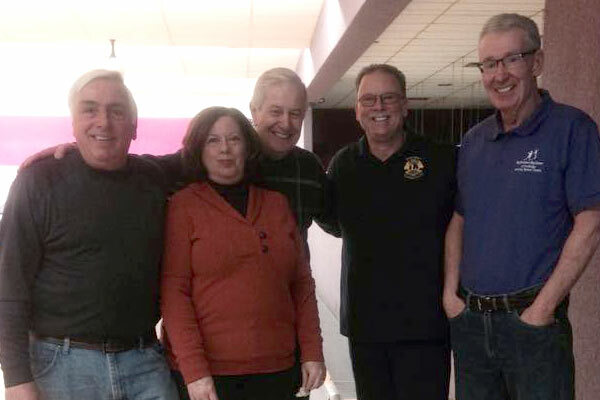 The Pocono Lions Club helped raise much needed funds today for Big Brothers & Big Sisters at there Bowl for Kids Sake fund raiser. 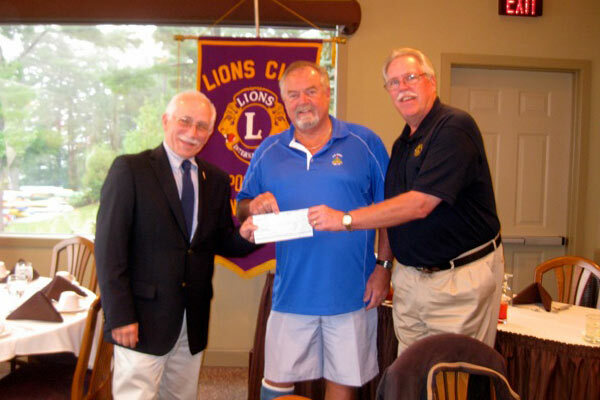 Lions member and Big Brother Mike is seen here thanking the hard charging lions team of Dave, Sal, Linda and Al . 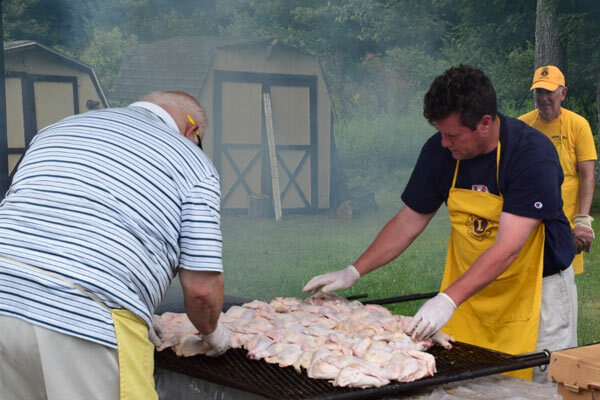 Great time had by all for a great cause. 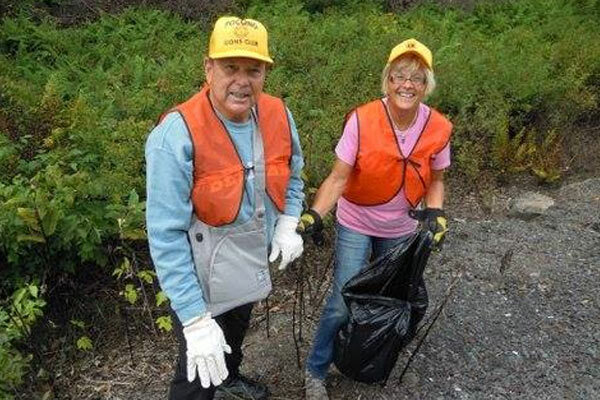 Lions Club members helping with litter control. 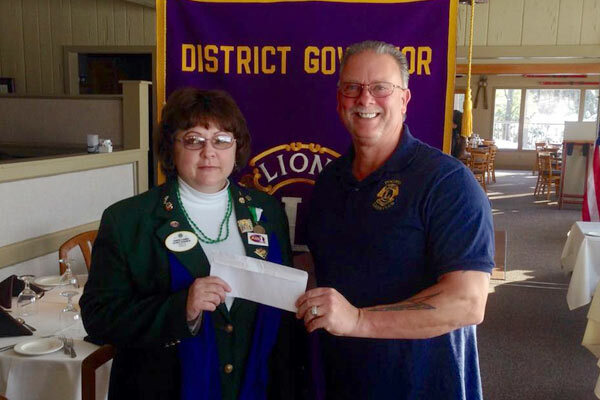 Pocono Lions Immediate Past President Dave Carbone presenting a check to Lions District Governor Sharon Kimmel for her term projects. A $10,000 prize was offered at the 12th hole, a 165-yard par 3. Schukraft hit a 4-iron into the wind and the ball landed in the cup for a hole-in-one at the Pocono Lions Golf Fundraiser. 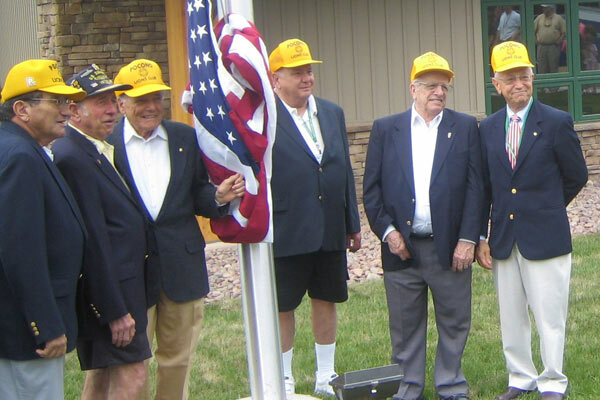 Members help raise the flag at the Lake Naomi Community Center in Pocono Pines, PA.